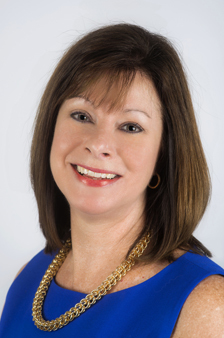 An exemplary professional and prominent leader in the Florida real estate industry, Linda Formella brings 18 years of real estate expertise – including almost a decade as a sales associate with Michael Saunders & Company® – to her role as Manager for the Bradenton office. Linda's extensive real estate sales career is enriched by her remarkable level of involvement in the industry at both local and state levels. Currently, she is the President-Elect of the newly merged Realtor Association of Sarasota and Manatee, a position she earned following years of dedicated service on the board of directors and multiple committees. Linda's numerous designations and certificates are a testament to her belief in ongoing professional education, and include Accredited Buyers Representative, E-Pro, Senior Real Estate Specialist and Graduate, Realtor Institute. She is a member of the Institute of Luxury Home Marketing and holds the designation of Certified Luxury Home Marketing Specialist. Overseeing the Bradenton team of associates, she is deeply committed to the values that set Michael Saunders & Company® apart as the Gulf Coast's leading brokerage. Linda is a graduate of the University of Missouri and has lived in Bradenton for almost two decades. Happily married to husband Joe for 36 years, Linda is immensely proud of her two wonderful grown daughters and son-in-law. In her leisure time, she enjoys boating, biking and live music of all types.